The quest for the best hangover cures is a journey whose end is still miles away. 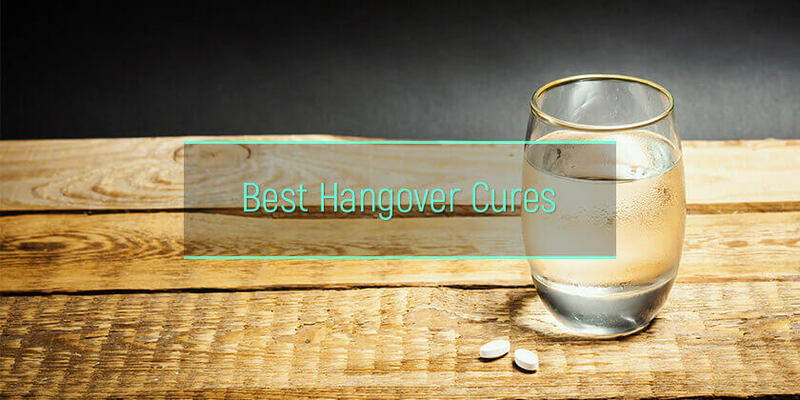 That notwithstanding, significant progress has been made in coming up with some of the best natural and artificial remedies to cure hangovers. Sports drinks have also been incorporated in hangover cures mainly because of their unique blend of hydrating ingredients such as potassium and sodium. Therefore, despite the fact that there is no proven instant cure for hangover there are myriad ways to manage the symptoms. Are hangover cures equally effective? Is water the best hangover remedy? Are sports drinks the top way to cope with veisalgia? Is Pedialyte a good choice? Will IV drip be the optimal crapulence cure? Can smoking weed be the finest hangover solution? Do painkillers help the best with veisalgia? Is prickly pear a leading hangover remedy? Many hangover cures and preventive agents are available today, but their effectiveness lacks scientific backing and evidence. That said, evidence shows that some of the compounds in these treatments reduce specific hangover symptoms such as headache and vomiting but not others like fatigue and drowsiness. Even cases as severe as a 3-day hangover can be addressed with the right mix of hangover cures. The best hangover cures with positive effects were those that either accelerated alcohol metabolism or to some degree prohibited the synthesis of prostaglandin. The key to addressing the question, what’s the best cure for a hangover lies in understanding the pathology of hangovers which to date has not been properly elucidated. This leaves drinking in moderation and adequate hydration as the only effective measures to minimize the severity of hangovers. It is the best way to recover from a hangover faster. Taking rounds of the hair of the dog that bit you cannot help, it makes the situation worse. Drinking a lot of water in between dinks is the best thing for a hangover. It helps in countering this dehydrating effect. A study done in 2010 showed that individuals who are hydrated tend to pass less urine than those who are dehydrated. With that in mind, it must be noted that dehydration is just one of the many causes of hangovers. Therefore, taking water, even though it is one of the natural remedies for a hangover, may not completely clear out the hangover symptoms. However, it goes a long way in alleviating the suffering. The question then arises, what is the best cure for a hangover? Sports drinks are formulated based on research to address deficiencies in athlete performance and optimize workouts. As a hangover drink, they are packed with the best electrolytes mainly sodium and potassium and other compounds to help replenish lost fluids. Intake of sports drinks which include Gatorade, Powerade, Accelerade, and Mizone has been billed as the best way to treat a hangover. However, an important aspect to note is that each of these drinks has its best side but also its cons. Below is a summarized discussion of each drink. Though designed as a sports drink, the utility of Gatorade is boundless. It is used by children as an after-soccer drink and marketed as the best hangover cure. It contains sodium and potassium which helps to restore electrolyte balance. The same way medical professionals manage hangover in the hospital scene. The flavors in which Gatorade comes make the intake of fluids an enjoyable process. Individuals can hydrate without feeling the general distaste that comes with consuming plain water. The sugar content in Gatorade which can be as high as 36 grams per 20-ounce serving has been termed unhealthy and associated with obesity and tooth decay. Less active individuals taking Gatorade risk developing high blood pressure due to sodium piling in the body system and weight gain from the extra calories (63 calories per 8 ounces). Among the food dyes in Gatorade are Red No.40, Yellow No. 5 and Blue No. 1 all of which are artificial and derived from petroleum. They increase susceptibility to hyperactivity and cancer. This sports drink contains Sodium, Calcium, Potassium, and Magnesium. The electrolytes are the best thing for a hangover as they help in maintaining blood volume as well as muscle blood flow. Recharges fluids – The fluids lost in the frequent passing of urine are replaced thanks to the mix of the best electrolytes in Powerade. Multi-flavored – Drinking plain water may not be favorable to everyone, but when flavored, the intake of fluids becomes enjoyable while at the same time replenishes. Loaded with carbohydrates – During a hangover, blood glucose drastically falls casing headaches and fatigue. The additional carbs can help restore the blood sugar levels. Packed with sugar – A bottle of 20 fl. oz of Powerade contains about 34 grams of sugar. This means, a person who’s not working out for at least 60 minutes a day, the rate of sugar addition in their bodies goes up faster. Weight gain – The accumulation of sugar in the body at a rate far beyond its excretion leads to weight gain and teeth decay. 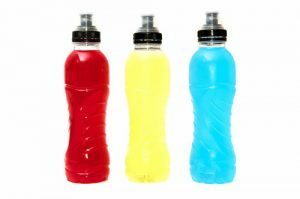 Artificial colors – Powerade contains acesulfame K, sucralose and other artificial colors that have been linked to blurred vision, migraines, dizziness, and even cancer! Even the Powerade Zero that boasts of being sugar-free has artificial sweeteners that signal the body the same way as the real sugars. This is a non-carbonated sports drink available in three flavors: Fruit Punch, Peach Mango, and Citrus Grapefruit. Its mix of ingredients including sugar, monopotassium phosphate, magnesium, sodium ascorbate, filtered water, and salt makes it one of the best thing to cure a hangover. Rehydrates – Peer-reviewed studies show that Accelerade rehydrates 40% better than plain water. This is because it has packed the best ingredients like filtered water and electrolytes. Replenishes blood glucose – The 4:1 carbohydrate to protein ratio ensures the brain and blood have adequate levels of glucose and other nutritive components. Reduces cortisol levels – the stress hormone, cortisol is in high levels during hangovers. Accelerade is one of the best drinks in lowering cortisol levels and thus managing hangovers. Optimizes metabolism – Accelerade contains cysteine and glutamine, some of the best amino acids for maintaining a normal glutathione function. Liver functioning – The unique combination of carbohydrates plays a key role in normalizing liver function. This is by far the best way to get rid over a hangover as it ensures that the body remains toxin free and lowers the intensity of hangover symptoms. Calories – While not much, the 120 calories per serving is a little on the higher end for people who are not actively working out. High sugar levels – In the sugar department, the 20g per serving is way too high and can cause weight gain and blood sugar complications including the risk of heart diseases. This product is one of the hangover cures home remedies that help in replenishing lost minerals and fluids due to vomiting and diarrhea. During a hangover, the body is dehydrated and in dire need of water and electrolytes such as potassium and sodium. This product plugs in and restores the normal functioning of the body. The best way to treat a hangover with Pedialyte is to consume it before going to bed. This minimizes chances of waking up dehydrated. In terms of nutrition, this hangover cure has less sugar and more electrolytes. For instance, there is 280 mg of potassium, 370 mg of sodium, 9 g sugar, and 35 calories in a 12-ounce serving. Pedialyte also contains zinc which replenishes that which is lost in diarrhea and vomiting, two of the common symptoms of a hangover. Zinc also plays a key role in the absorption of electrolyte and water in the intestinal wall which is one of the best ways to cure a hangover. It reduces the duration and severity of diarrhea. IV Drips have high doses of vitamin, micronutrients, and antioxidants that revives the liver detox system and gives an instant energy boost. This results in the best hangover cure. With 2 liters of pure hydration, half of the total body fluids can be replenished. IV Drips fight free radicals and clean up the liver. The medical boosters included in the drip helps in alleviating inflammation, nausea, and headache. The vitamin B12 and B complex in IV fluid for hangover are crucial in alleviating mental fog and fatigue as well as playing the cofactor role in metabolic reactions that generate energy. Cannabidiol-heavy strains have been found to contain anti-nausea and anti-inflammatory properties that help reduce the intensity of hangovers. For those already in the hangover stage, pairing a heavy indica strain and CBD flower can be the best way to get rid of a hangover. Among other things, weed helps to stimulate appetite if an individual is stuck on what to eat when hungover. It also lessens the severity of headache and relieves nausea. The use of weed though legalized in some states is still a highly regulated product only allowed as a medical cure in other states. The tetrahydrocannabinol (THC) level in some strains of weed makes it highly prohibited for people to toke and drive, work, or engage in other activities that require a high level of concentration. 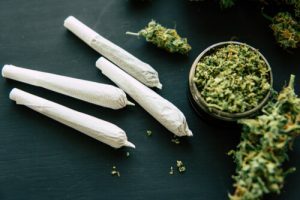 Despite its effectiveness as a hangover cure, smoking weed is associated with unpleasant side effects such as hallucinations, severe anxiety, short-term memory lapse, and coordination problems. In the long-term, weed can lead to a decline in IQ, relationship problem, and addiction. That’s why it is important to weigh risk and benefits. Weed can be used as a hangover cure only after a consultation with a medical professional and in the states where it is legal only. Ibuprofen – This is one of the best ingredients in curing mental fogginess, headaches and any painful symptoms. Depending on the concentration, they wear off after 4 to 6 hours. Naproxen – This ingredient lasts longer even up to 24 hours and provides headache relief. Depending on how it is packaged, it also lessens nausea. Caffeinated Drugs – Painkillers can be laced with caffeine for headache relief and alertness. Taking NAC for hangover has also been found to cure the body of multiple hangover symptoms including fatigue and headaches. It increases levels of glutathione while reducing acetaldehyde toxicity. With painkillers, it helps to consult with a doctor for the safest medication based on the body physiology. It is best recommended to take painkillers when the blood-alcohol level is zero. Prickly Pear which goes by the scientific name Opuntia ficus indica (OFI) is a plant extract and one of the best way to get rid of a hangover. In particular, it cures nausea symptoms, loss of appetite, and dry mouth. People taking OFI reported lower levels of C-reactive protein, a compound linked to liver inflammation. By dampening the inflammatory response of the body, OFI tempers hangovers. Ideally, hangovers disappear with time. However, in case of persistent symptoms or severe hangover effects, it is advisable to seek medical or professional help. Most of the alcohol rehabilitation clinics have specialized cures such as IV Vitamin therapy treatments, B12 Shots, and Vitamin B complex injections that help individuals reduce fatigue, recover faster and become refreshed. Counseling services on treating drinking behavior may also be offered where necessary.